It's been a great year and I can think of no better way to end it on a good note than to spend time with family and great friends sharing wonderful food smoked in your own backyard. 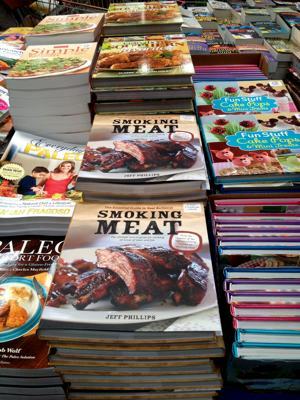 In an effort to help as many of you as I can, I will be giving a lot of tips, tricks and general information about a large variety of meats that can be smoked and cooked in your smoker and even a few non-meat items as well. Let's not forget the lobster tails and pork crown roast that I wrote about in recent newsletter which would make any Christmas meal a huge success. From my home directly to yours, I wish all of you a great holiday season! 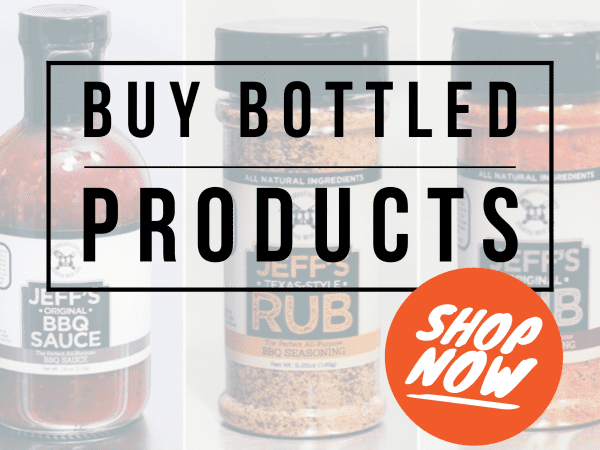 Designed for pork but great on everything, my rub recipe really “steps up to the plate” when it comes to flavor no matter what you are cooking in the smoker. 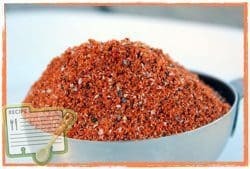 Use about 1-2 cups of my rub recipe on the brisket for amazing flavor and crust. Brisket is NOT done and will NOT be tender enough until it gets to about 200 degrees internally. 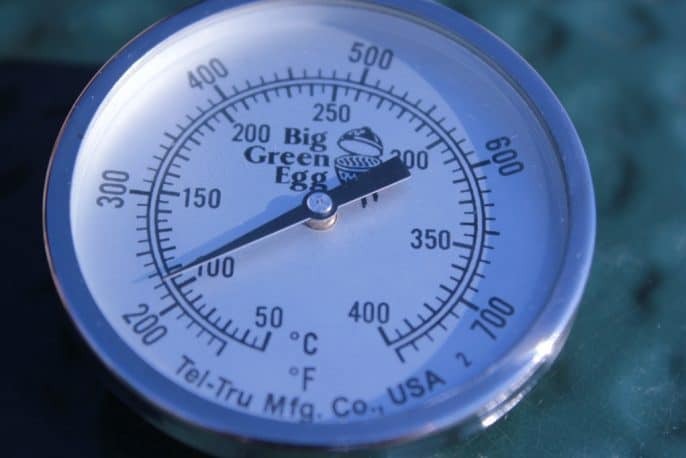 Be patient and use a digital probe meat thermometer or a super-fast thermapen to let you know when it's done. Pour on about 1 cup of my rub recipe and massage it in real good. Make sure to get the rub into every nook and cranny. Keep the smoker at about 225-240 to keep the rub from burning and to slowly prod the pork to it's full tender potential. Pulled pork is perfect when it's cooked to an internal temperature of 205 degrees. It will almost fall apart on it's own and you probably won't need bear claws to get the job done. Estimate time for pork at about 1.5 hours per pound + 2 hours padding, however let the temperature tell you when it's done rather than the time. 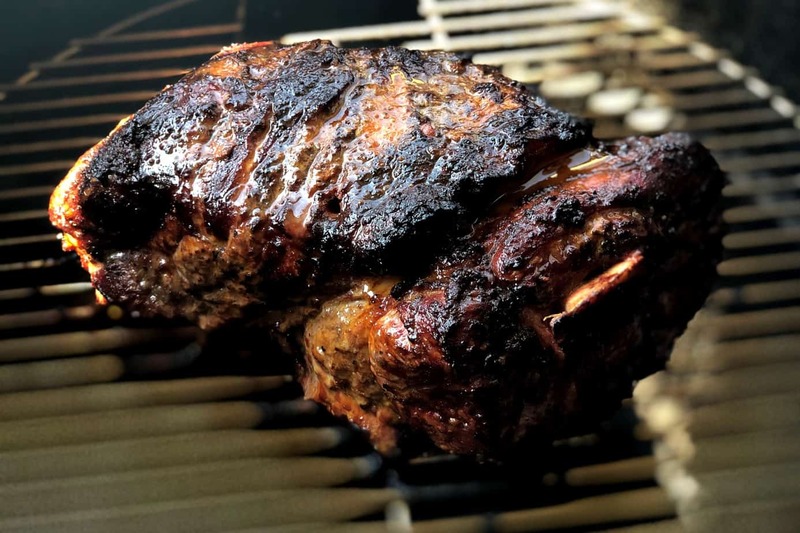 If it gets done early, simply bring your smoker down to about 180 degrees or so and hold it there until dinner time or you can place the foil-wrapped meat down in empty ice coolers wrapped in a thick towel. Fill in any remaining space with more towels, blankets, pillows, etc. If refrigerated, you can reheat in a covered container with a little beef broth, water or apple juice (just a cup or so usually) added to the bottom until the pulled pork is a good eating temperature. 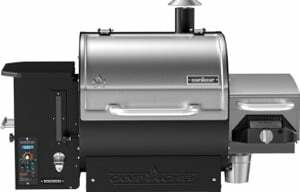 Smoke at 225 degrees or whatever temperature your smoker happens to be at for other items. (for spare ribs only) Remove the skirt or flap of meat that runs down the center of the meaty side of the ribs. Just cut it off even with the top of the slab. (for spare ribs only) Save the flap/skirt meat and cook it along with the ribs for some tasty treats. 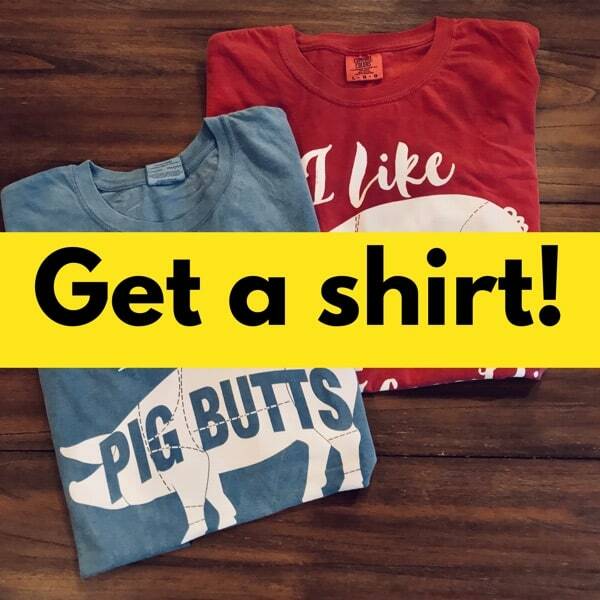 Be sure to add some rub to them. They will take about an hour or two to get tender depending on how thick they are. Apply a light coat of yellow hotdog mustard or a little olive oil to moisten the outside of the ribs. 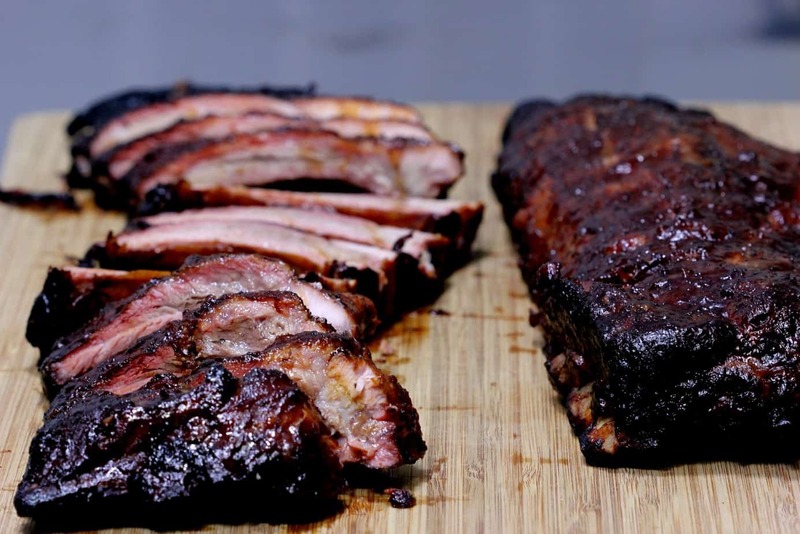 Spare ribs need at least 6-7 hours in the smoker at 225 degrees. Baby backs will need 5-6 hours depending on how meaty they are. 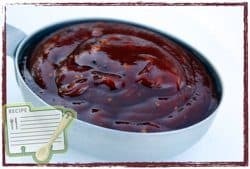 If you like “wet” ribs then apply some of my sauce recipe a couple of times beginning about 30 minutes before the ribs are done and then again about 10 minutes before they are finished. Note: All (3) steps below are with heat set to 225-240 degrees. Step 2 does not need smoke since the ribs are wrapped in foil. 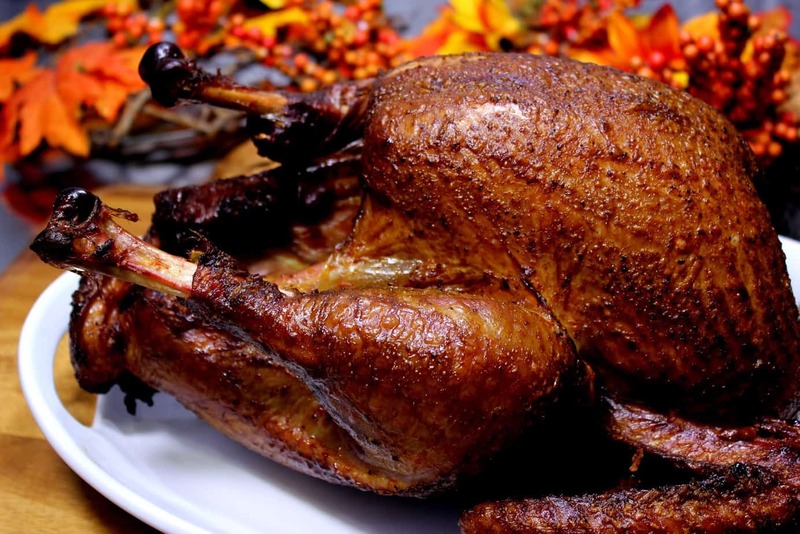 Smoke chicken at 250-275 for crispier skin. 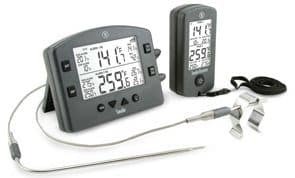 Use a digital probe meat thermometer or a super-fast thermapen to make sure the meat is 165 degrees at it's thickest part before serving. If you want to sauce the chicken, apply my sauce recipe liberally to the chicken about 30 minutes before it is finished smoking/cooking. If you do need to cook a whole chicken, consider butterflying (spatchcocking) it as explained HERE. These are a little pricey sometimes but they are worth it for a really special Christmas meal. Have the butcher go ahead and cut the bones off for you or you can have him make a cut down the bones so that they are still barely attached. Also have him tie it up for you. This keeps the prime rib together while it cooks and makes for a nicer presentation at the dinner table. Apply a little olive oil all over to help the rub to stick then apply a pretty good coating of my rub to the outside of the meat. The course spices called for in my rub recipe also makes for a very nice presentation. Smoke the prime rib at 225-240 for 4-6 hours or until it reaches about 135 degrees. 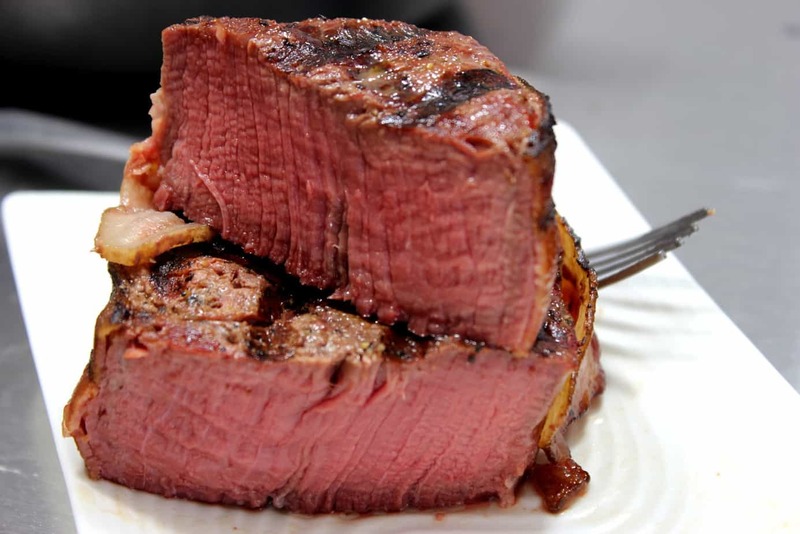 This is medium rare and is where we like it. I do recommend medium rare for this cut but if you prefer it to be a little more or less done, then do so. I recommend pecan for the prime rib but I also love cherry or an oak/cherry mix as well. Once the prime rib is finished cooking, immediately take it off of the smoker grate and let it rest for about 10 minutes before slicing. If the butcher did not remove the bones completely, make a cut perpendicular and right next to the bones. Slice all the way down with your knife pressing against the inside of the all the bones at once to completely remove the bones from the roast. 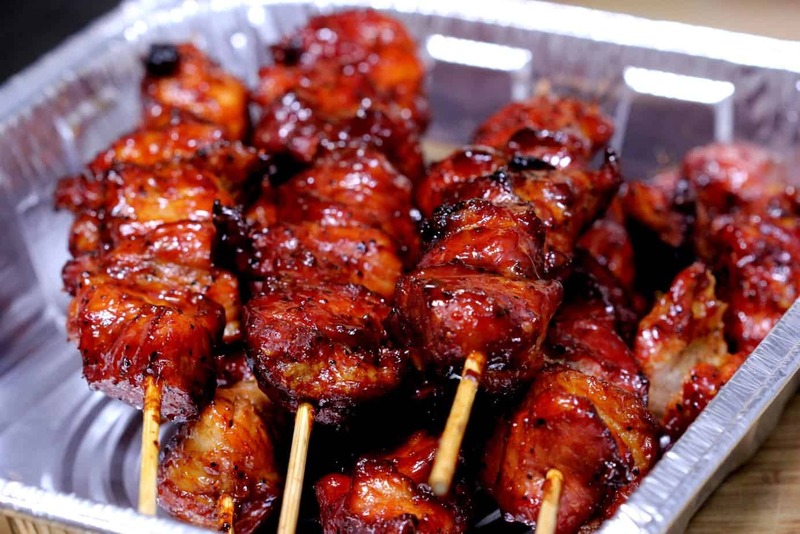 These are very easy to smoke and extremely easy.. just don't overcook it. Use a good digital probe meat thermometer and make sure you remove it just as soon as it hits your goal temperature. 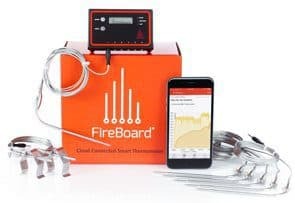 As is the case sometimes, you may find yourself having trouble with your smoker due to cold, blustery winds. Your best defense is a good windbreak made from pieces of plywood or some other large flat pieces of material that you can secure into place giving the smokers a break from the wind. You can also use water heater blankets to help insulate the smoker as long as you don't cover up any vents or get too close to the firebox. This may not be an option for some smokers. Placing the smoker in the doorway of the garage for protection on three sides. Make sure the smoke is able to get outside and is not filling up the garage. This works best when the wind is not facing the door. Allow extra time since even if you are only able to maintain 210 degrees, it will still cook the meat only a little slower. If it gets extremely and unbearably bad, you can apply smoke to the meat for a couple of hours then finish cooking the meat in the house oven. This is not a crime and it will end up a thousand times better than if it had no smoke flavor at all. “Do what you have to do” is my motto in these cases. Be sure to add boiling water to the water pan so your smoker does not have to spend it's energy in heating the water. Keep the door closed at all times unless you absolutely have to open it to add water or fuel. Forego basting and mopping in these cases in lieu of keeping the heat in the smoker. 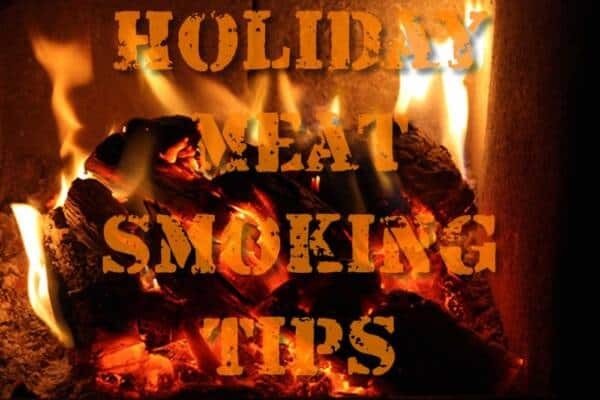 Apply smoke for at least half of the estimated cook time if you are using a gas, electric or charcoal smoker. 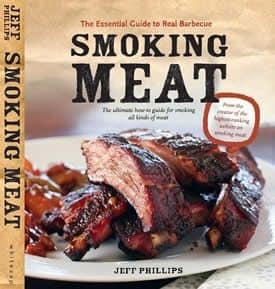 I like to apply smoke the entire time the meat is in the smoker whenever possible. Get the smoker going an hour or more before you need it to allow the metal to heat up. If you are having trouble getting the temperature high enough in a bullet smoker, leave the water pan dry so the smoker can apply all of it's energy to heating up the smoker instead of heating the water. "Happy Holidays" to all. Jeff Phillips has made my year complete. I was getting about to give up on BBQ, I felt I had mastered the Gas Grill and spent ton's of money to accompolish that. Smoking revived my interest in foods again and with Jeff's help and newsletter, I hope some day far far away I can say I feel I have mastered Smoking meats knowing full aware that will never happen. So to Jeff I will only say "Thanks and God Bless.